Mavshack AB (publ) run business operations within technical development towards digital entertainment. Through our subsidiaries we offer expertise in advanced streaming technology, API integration, platform solutions and AR production. Mavshack AB invest in corporations focused on digital distribution. Along with our subsidiaries 24hTech, IP Movers, Mavshack Movies and Ambientmedia we can offer a complete digital solution service, tailored after our customers needs. In 2007 Mavshack AB launched its streaming service Mavshack Movies as one of the first streaming services. New challenges and requirements have pointed us to new grounds and to create new innovative technical solutions. Over the past years Mavshack AB has been focusing on finding synergies that would help us evolve or lead us towards the future. This has led us to working with two different working models, both business to business and business to consumer. Much has happened since we launched in 2007 and today our business operates in over 80 markets worldwide. 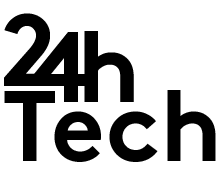 24h technologies started out as a POC for a client wanting to build a platform. Quickly we realized the potential to this and decided to build our service. We have offices located in Sweden, the United States, and the Philippines, and co-workers originated from 9 different nations with the knowledge and understanding of the different markets. Today we can offer encryption and transcoding with the ability to customize streaming solutions exclusively designed for the client’s visions and requirements. Thanks to our various qualification we are able to ad hoc onto projects and act as a trusted partner or take on full projects – from Idea to Launch. Mavshack Movies is a global streaming service with Asian premium entertainment. The platform offers subscription-based SVOD-services (streaming video on demand) where subscribers get unlimited streaming with high-quality live-sport, movies, TV-shows, and audiobooks. All content is produced in Asia, where India and the Philippines are the two major content producers. The content is distributed through the streaming and hosting suppliers Akamai and Amazon Cloud for immediate stream on smartphone, tablets, TV-box, Smart TV etc. Originally developed technology enables streaming of content regardless of the user’s connection qualities and geographical limitations. The primary target audience for Mavshack Movies is Filipinos and Indians living abroad, with the largest groups living in the US, Canada, the UK, The Middle East and Australia. Because of the widespread audience the payment methods have been adapted to different markets. We cooperate with distributors that offer several different payment solutions, including cash sales and direct carrier billing that enables subscription for customers without credit card. Subscriptions are sold through App Store, Google Play and Amazon, as well as through Mavshack Movies own channels. In cooperation with distributors and supplier, our sale has now reached a number of 3 million sold subscriptions per year. IP Movers delivers comprehensive digital solutions. We offer personal IT-consultancy to advice your company with applications, websites, business systems, and digital infrastructure. Our clients vary from smaller IT startups to large corporations across the world. Our team consist of 30 developers and designers who are experts in iOS, Android, web development and Networks specialists. Today we help clients with development, maintenance and service, all in-house. We take on full liability for delivery where you can decided on how much you want to participate. With trust comes responsibility, which is why we work with full transparency where you can follow the process of your project. Ambientmedia offers complete end to end animation and, audio- and video production. In addition to animation production our services also includes post-production, sound production, live event, augmented reality and content distribution. We offer full catering to all of our clients by utilizing our skill sets and global resources around the globe. Along with Audio/video sfx combined with Augmented Reality (AR), Avatar Puppetry and VideoClick, we can help companies make their ideas become reality.